Professor Andrew Cruden is Professor of Energy Technology within Engineering and the Environment at the University of Southampton. 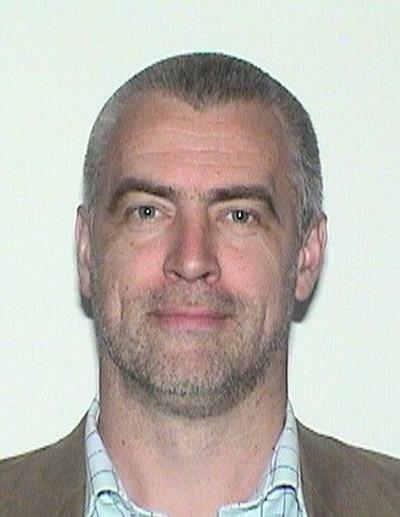 Prof Andrew Cruden obtained his BEng, MSc and PhD degrees in Electronic and Electrical Engineering from the University of Strathclyde, Glasgow, in 1989, 1990 and 1998, respectively. He had a range of research posts at Strathclyde until 1998 when he was appointed Lecturer, then promoted to Senior Lecturer in 2004 and Reader in 2010. He was appointed as Professor of Energy Technology at the University of Southampton in July 2012, within the Electro-Mechanical Research Group. In July 2013, he took up the role of Head of the Energy Technology Research Group. He is a Chartered Engineer. He has attracted over £3M in research funding from both the Research Councils and industry, and published over 110 articles, including conferences and journal papers. He has acted a Director for the Argyll, Lomond and the Islands Energy Agency from 1998 – 2012, (www.alienergy.org.uk), a local energy agency established as a not-for-profit company to promote and develop renewable energy and energy efficiency within this locale. Additionally he was instrumental in establishing, and the first Chairman of, the Scottish Hydrogen and Fuel Cell Association (SHFCA, www.shfca.org.uk), a Trade Association within Scotland to promote hydrogen and fuel cell technology. Latterly he was the Chairman of the 4th World Hydrogen Technologies Convention (WHTC), held in Glasgow in September 2011 under the auspices of the International Hydrogen Energy Association. Previously he organised and delivered the IET Christmas Lecture series in Scotland in 2005, which delivered a talk on the history and future of electrical power generation to over 1,200 school children around Scotland. Prof Cruden currently acts as the Faculty Advisor for the Southampton University Formula Student Team (SUFST, www.sufst.co.uk). Watch the video of the Team competing at the Formula Student 2013 Competition at Silverstone by clicking on the video link below! This research project is part of the SUPERGEN Energy Storage Consortium funded by the EPSRC, in developing a hybrid energy storage system based on batteries and supercapacitors for transport applications, and has been exploring the use of large signal electrochemical impedance spectroscopy to characterise and understand supercapacitor behaviour and degradation. As Electric Vehicle (EV) technologies begin to reshape the automotive industry the question of how this will affect the already over-burdened energy distribution network is becoming ever more important. Vehicle To Grid (V2G) Technologies aim to lessen this burden by allowing vehicles equipped with high capacity bi-directional charging systems to facilitate ancillary services such as frequency regulation and load balancing through the use of their on board energy storage units (Batteries) as shown in Image 1. This project is supported by Engineering and Physical Sciences Research Council (EPSRC) and has five UK academic partners and three Chinese partners. It will study lithium battery cell development and Vehicle to Grid (V2G) operation to investigate grid scale energy storage, from a battery perspective ‘upwards’ and not from a network level 'downwards'. This project will use the neutron instruments at ISIS at the Rutherford Appleton Laboratory to investigate the degradation of batteries as a result of operation under Vehicle to Grid (V2G) condition. Bryden, T. S., Hilton, G., Dimitrov, B., Ponce De Leon Albarran, C., & Cruden, A. (Accepted/In press). Rating a stationary energy storage system within a fast electric vehicle charging station considering user waiting times. IEEE Transactions on Transportation Electrification. Bryden, T. S., Dimitrov, B., Hilton, G., Ponce De Leon Albarran, C., Bugryniec, P., Brown, S., ... Cruden, A. (Accepted/In press). Methodology to determine the heat capacity of lithium-ion cells. Journal of Power Sources. Dimitrov, B., Cruden, A., Sharkh, S., Ponce De Leon Albarran, C., Bryden, T. S., & Hilton, G. (Accepted/In press). Design process for a parallel LLC resonant converter for powered electric vehicle charging systems. International Journal of Health Sciences and Research (IJHSR). Wong, Y. C. C., Rotaru, M., Lim, C. S., & Cruden, A. (2018). Reactive power sharing study of an islanded microgrid in DIgSILENT power factory. Paper presented at 7th International Conference on Renewable Energy Reserach, Paris, France. Sun, S., Kiaee, M., & Cruden, A. (2017). Achieving both economic and environmental objectives for a solar farm with a co-located battery. Paper presented at The 1st International Conference on Large-Scale Grid Integration of Renewable Energy in India, New Delhi, India. Kiaee, M., Cruden, A., & Sharkh, S. (2016). Demand side management of electric vehicle car parks to increase integrated solar power capacity within an existing radial distribution network. Paper presented at The 6th Hybrid and Electric Vehicle conference (HEVC 2016), United Kingdom. Kiaee, M., Cruden, A., & Sharkh, S. (2014). Development of a MATLAB based power system simulator to investigate the impact of vehicle to grid (V2G) operation. Paper presented at UKES2014: UK Energy Storage Research Conference, United Kingdom. Cruden, A., Kiaee, M., Donoghue, J., Broderick, S., & Sharkh, S. M. (2014). Integration of electric vehicles as energy storage tools in the power system. Poster session presented at Mechatronics, Signal Processing and Control (MSPC) Theme Conference, . Kiaee, M., Cruden, A., & Infield, D. (2011). Demand side management using alkaline electrolysers within the UKGDS simulation network. Paper presented at The 21st International Conference and Exhibition on Electricity Distribution, CIRED 2011, Germany. Kiaee, M., Chade, D., Cruden, A., & Infield, D. (2011). Design of a system to investigate the performance of alkaline electrolysers during operation with intermittency of wind power. Paper presented at 4th World Hydrogen Technologies Convention Conference, WHTC 2011, United Kingdom. Kiaee, M., Cruden, A., Infield, D., Ma, Y., & Douglas, T. (2010). The impact on the electrical grid of hydrogen production from alkaline electrolysers. 1-6. Paper presented at 45th International Universities Power Engineering Conference, UPEC2010, United Kingdom.